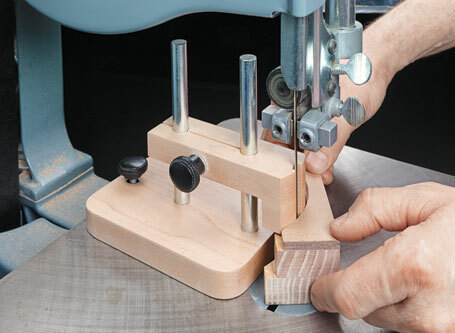 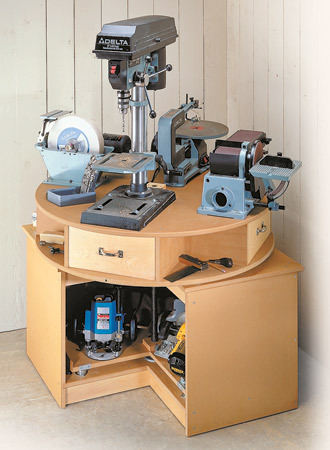 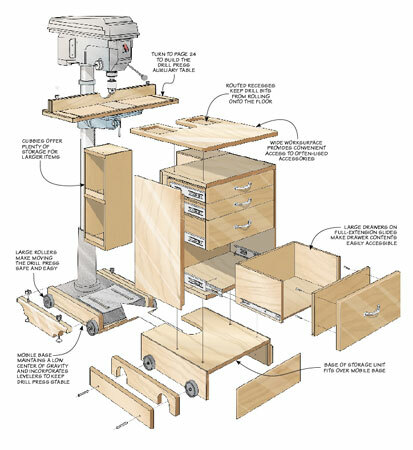 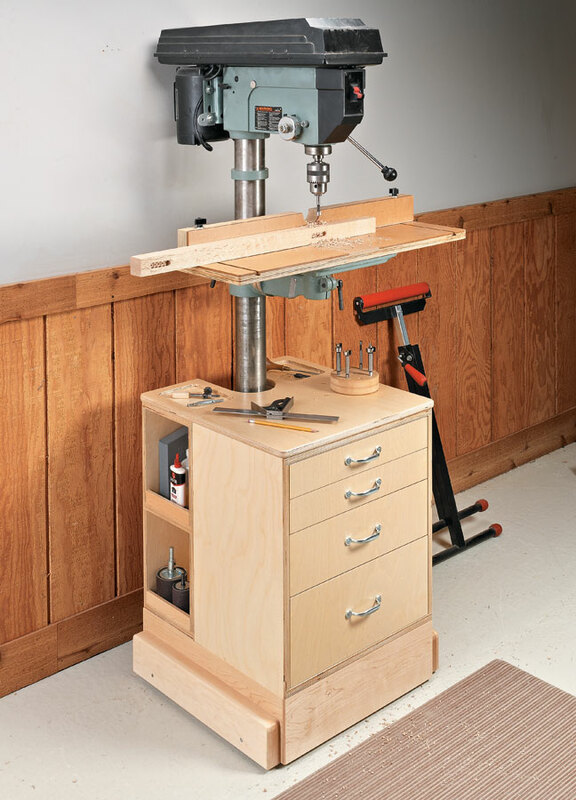 These projects will make your drill press a lot more useful in your shop. 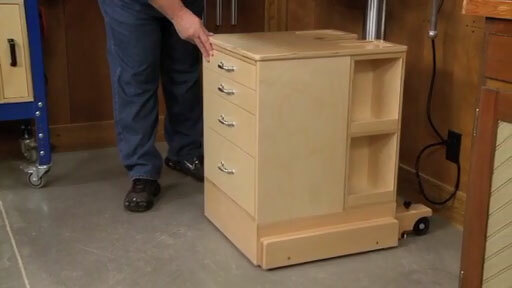 First, a cabinet with four large drawers and cubbies adds storage. 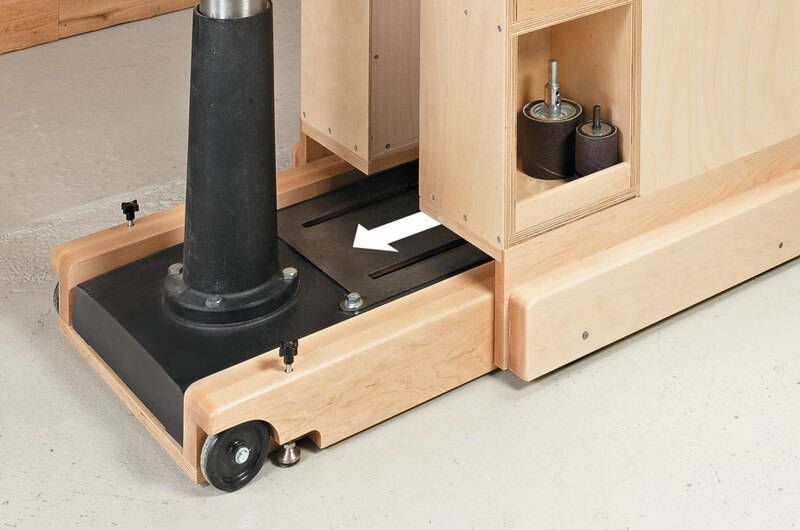 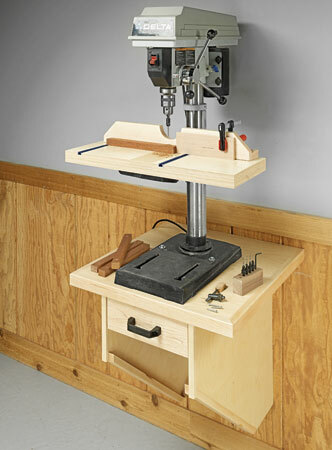 Second, a mobile base makes moving the drill press a breeze. 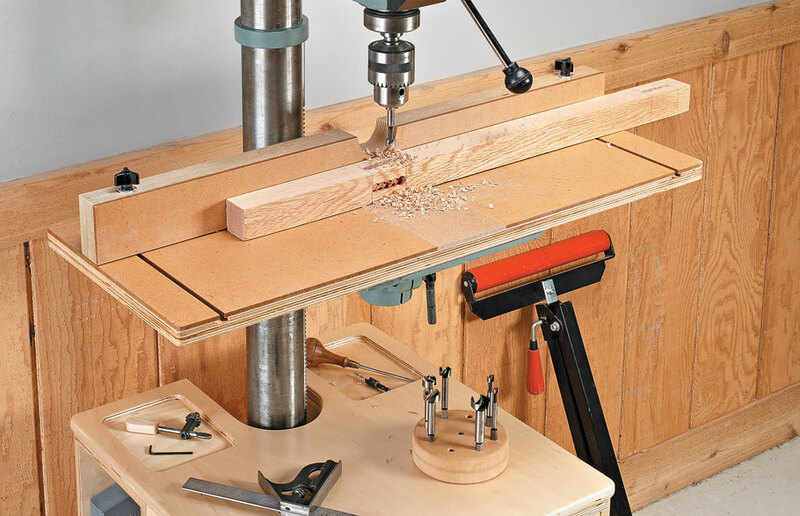 But best of all, a large auxiliary table with a replaceable hardboard insert and adjustable fence add support and accuracy.